Emergency department visits for addiction related conditions. So what are we doing Locally? New Harford Crisis Center to address behavioral health (mental health and substance misuse) issues in one convenient location. Harford County Health Department (HCHD) – The HCHD offers Outpatient behavioral health treatment. Services include: Mental Health Treatment and Substance Use Disorder/ Addiction Treatment. Services include: Screening, Assessment, Psychiatric, Medication evaluation and management, Case Management, Family Education and Support, Peer Support Services, Individual Therapy/Counseling, Family Therapy/Counseling; and Group Therapy/Counseling. Office of Drug Control Policy – Located with the department of Community Services in Harford County government, the Office of Drug Control Policy is provides education and awareness in the community regarding addiction and substance misuse. Mental Health First Aid – free classes offered every month to help residents better understand mental health issues. 8 hour class. Attendees earn Mental Health First Aid Certification. See our Healthy Harford calendar for dates and locations. Question, Persuade, Refer – free classes offered by the Harford County Health Department to help people learn how to speak to someone that might be at risk for suicide. 1.5 hr. class.Mental Health Practitioner Resource Guide – Reference guide for medical Practitioners for quick reference as to who has availability to see patients in need of mental health services. Contact Paula Nash LCSW-C at the Harford County Health Department paula.nash@maryland.gov for a copy. Depression Screening for School Age Children – Outreach effort to encourage Pediatricians to screen for depression during annual school physicalsBel Air Parking Garage – Suicide preventative measures at the Bel Air Parking garage including monitoring, out reach signage, and an emergency phone. Friends R Family – local nonprofit working to address suicide and other mental health issues. Friends R Family has established a Suicide Prevention Club at Patterson Mill High School. Senate Bill 97 – This new legislation, passed in October 2106, encourages jurisdictions to consider sanctioning an Opioid-Associated Disease Prevention and Outreach Program, as needed. Components of the program include syringe exchange, education, and treatment services, which have all been proven effective in decreasing IV drug use-related infections. Baltimore has had been expanding their program since 1984. 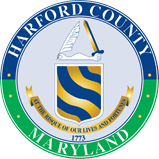 It is recommended that Harford County should consider providing the same services. Depression screenings at hospitals – At-risk patients are screened for depression and substance abuse at the University of Maryland Harford Memorial and Upper Chesapeake Medical Center. Rapid Referrals for Pregnant Women with Addiction Issues – Through the work of the Behavioral Health Work Group subcommittee focusing on pregnant women and substance exposed newborns (SEN), a rapid referral process between Obstetric doctors and substance abuse providers has been established to link pregnant women with addiction issues with treatment. Integrate Mental Health services into Primary Care – The University of Maryland Upper Chesapeake Health and Union Hospital are working on a program to integrate mental health into standard primary care practices. Assist Addiction Recovery for Inmates – The Harford County Health Department has a Vivitrol program in the Detention Center to help addicts kick their habit before they are released. Decrease Opioid Deaths – The Harford County Health Department offers free on-line Nalaxone training for residents to help reduce deaths from opioid overdoses. Crisis Intervention Training for Law Enforcement – The Harford County Sheriff’s Office has Crisis Intervention Team (CIT) training to help deputies deal with situations involving mental illness.